We’ll be hosting a special Friday evening on January 22, 2016 to celebrate the premier of the final season of Downton Abbey! Get your reservation for some great food and fun at the table! Clélie and Henry of Stone House Eats wish to invite you to a gala dinner celebrating the premier of the wildly successful show Downton Abbey. The dinner will take place at Stone House Eats, 828 Julia Street, Rayville, Louisiana on Friday the 22nd of January at half past six o’clock. The dress is either cocktail wear or period clothing. We hope you will manage to join us for a wonderful night of great dining and visiting. The evening will start as we gather to be seated, and a complete dinner of appetizer, soup, salad, entrée, and dessert will be served. Guests will be permitted to bring their own alcoholic beverages, with a small corkage fee of $5 charged for wine. The cost of the meal will be $60 per person, tax and gratuity not included. Please call (318) 267-4457 for reservations. Seating is limited, so please call early. Reservations close on Wednesday, January 20. We look forward to seeing you at the table of good food and fun. Fried green tomato topped with shrimp and house-made remoulade sauce on a bed of jicama. Potato and leek puree with house-made chicken stock. Mixed greens with a dijon vinaigrette or a wedge salad with blue cheese dressing. Beef wellington with stuffed tomato, garnish of chicken liver pâté and horseradish sauce, and served on a bed of cauliflower puree. 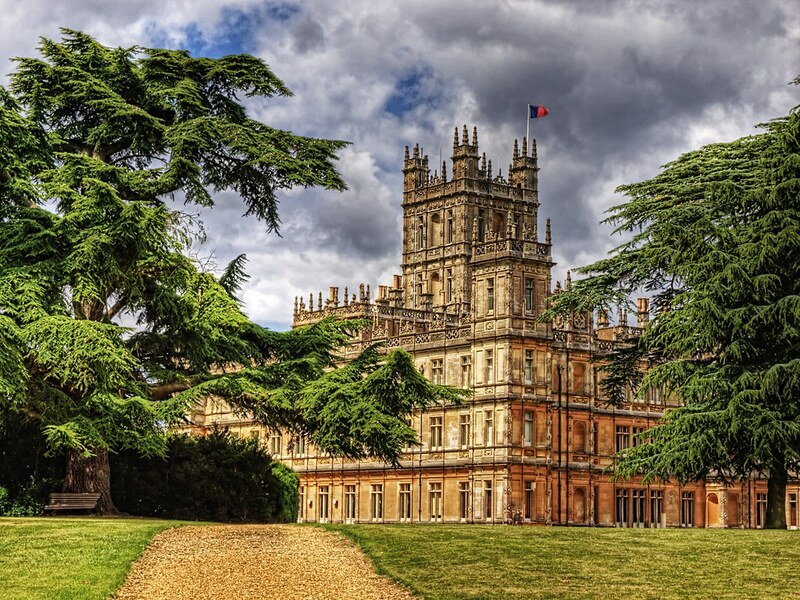 Highclere Castle, home of the Lords Carnavron and setting for the interior and exterior shots of Downton Abbey. Monday, January 11, 2016 — Open for Lunch! We’ll be open for lunch with our regular Monday special of Louisiana red beans and rice with house-made ham stock. We are truly thankful for all the folks who frequent our table. Thanks for giving into our lives with your time and talk, our lives are enriched because of you. We look forward to seeing you next week at the table! We’ve missed y’all ! Happy new year! We have missed you, too! Hope to see you soon! Happy New Year to you and yours! Thank you! We are totally looking forward to it, and hope to see you guys there! Happy New Year to the Wing family!